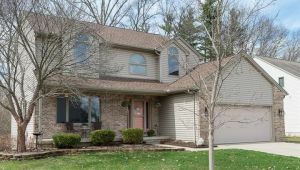 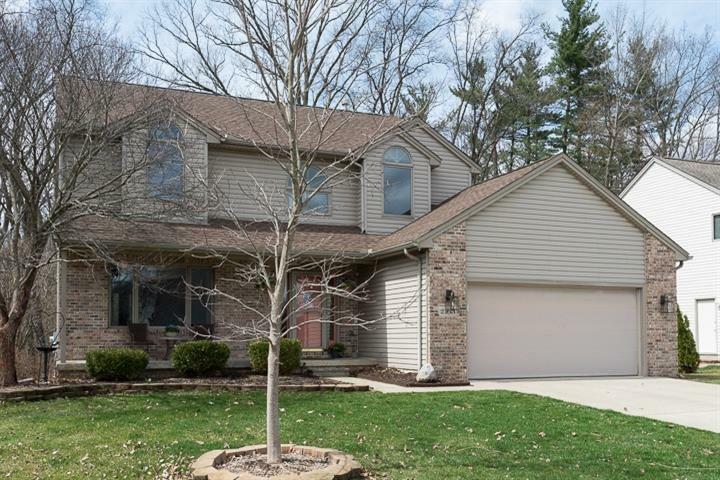 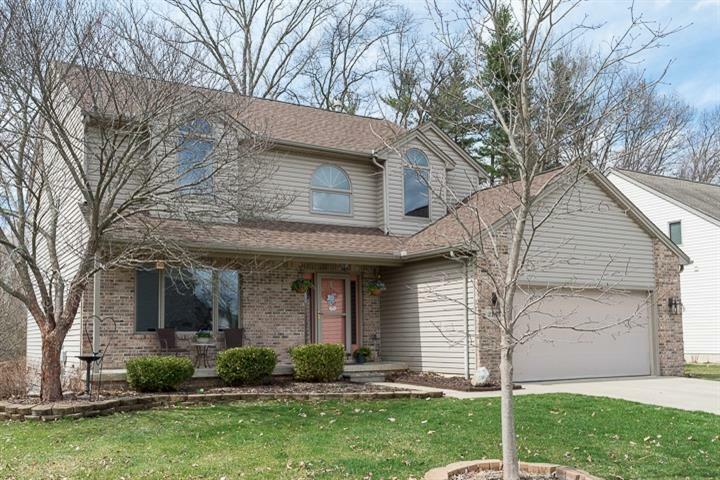 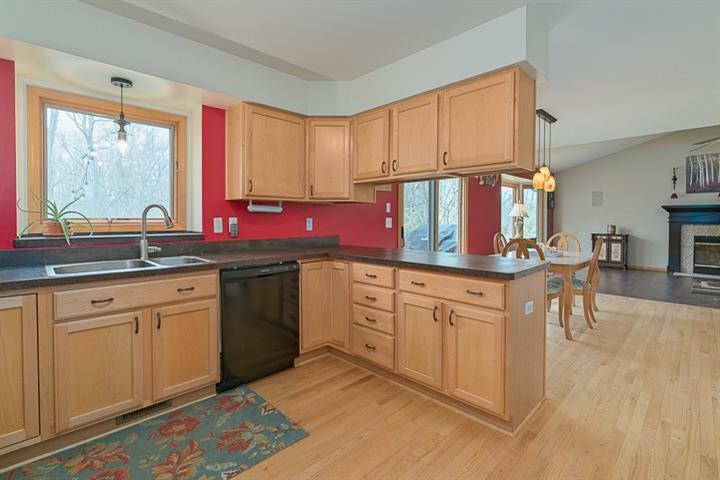 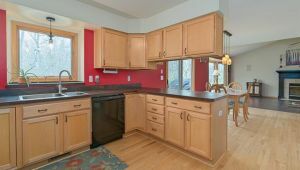 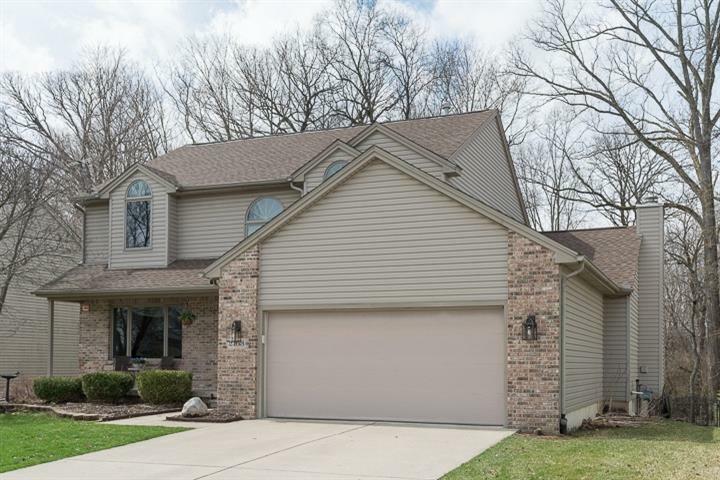 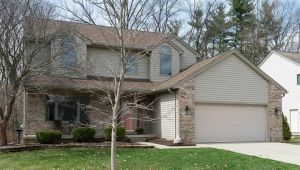 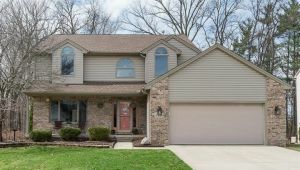 Great setting & location for this 4BR 2.5BA home in ever-popular Wildwood neighborhood. 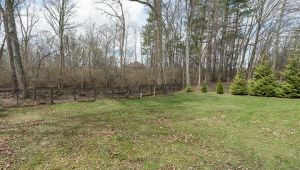 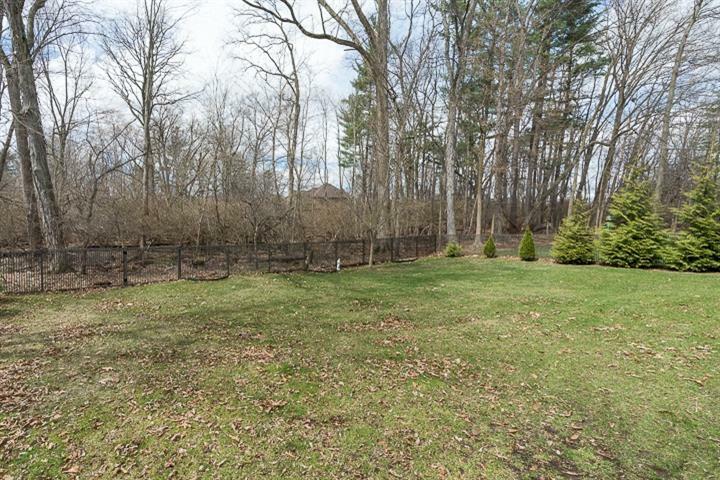 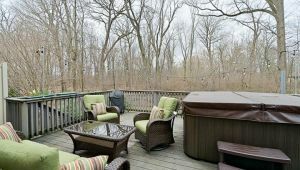 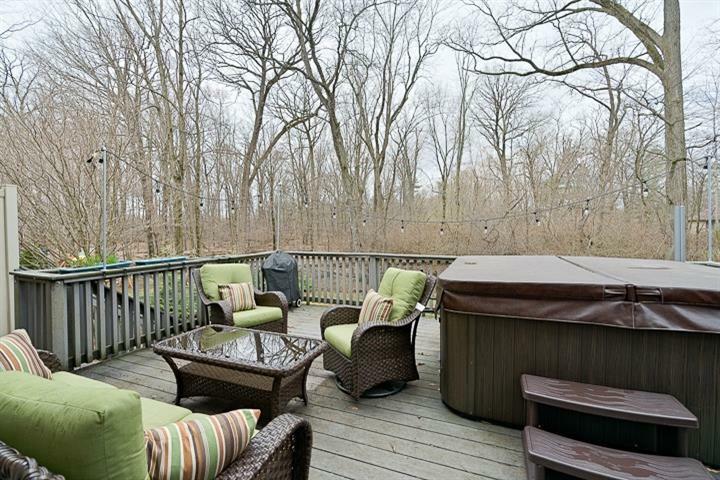 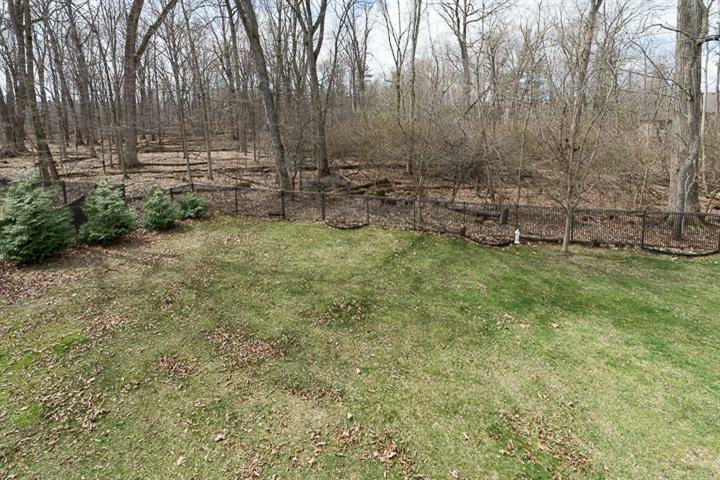 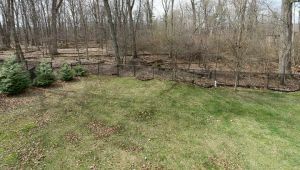 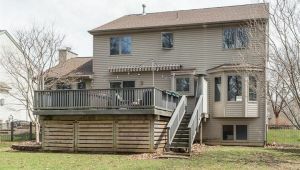 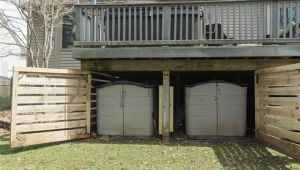 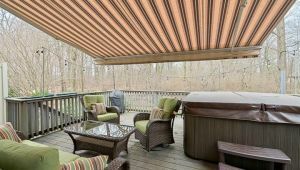 Fully fenced-in yard (w/ gate to woods) offers great space & privacy as well as lovely views out to wooded area behind. 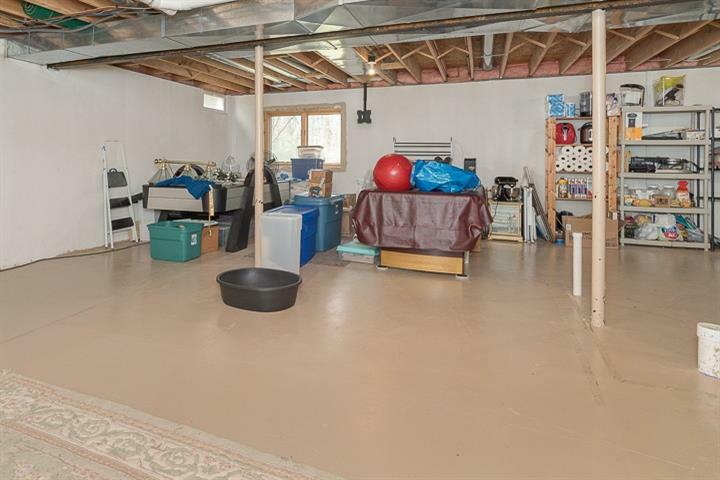 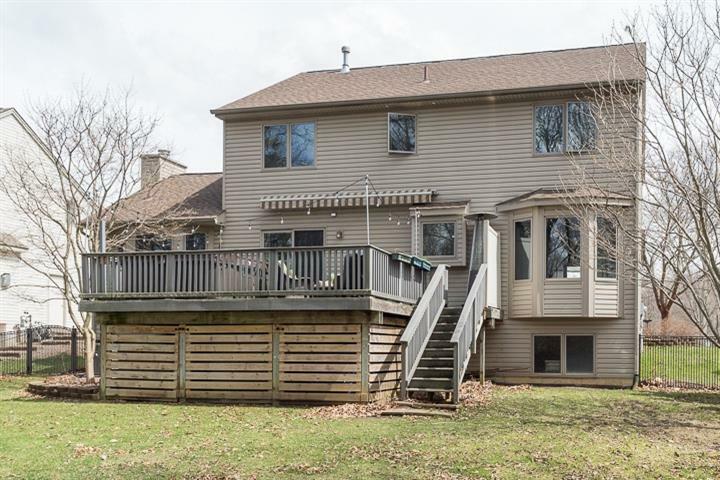 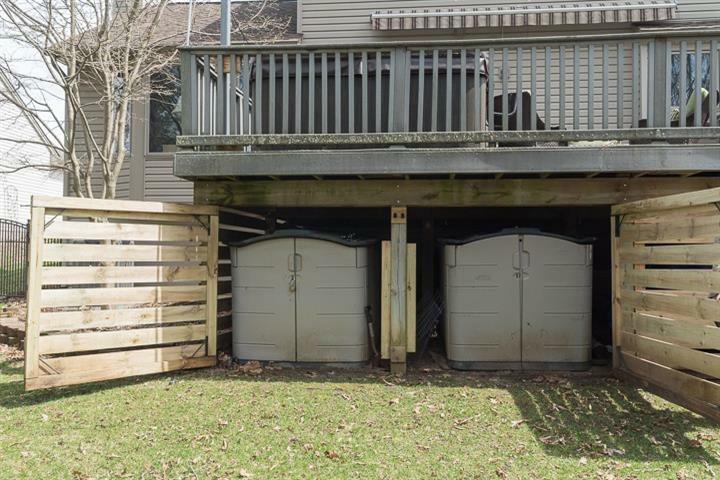 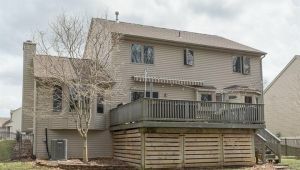 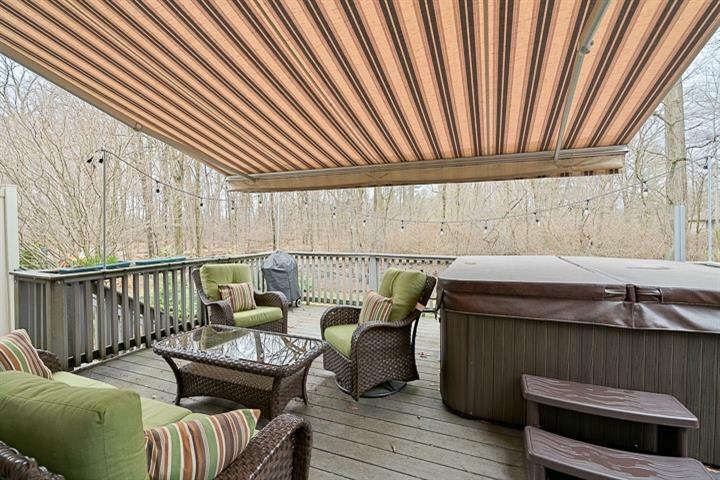 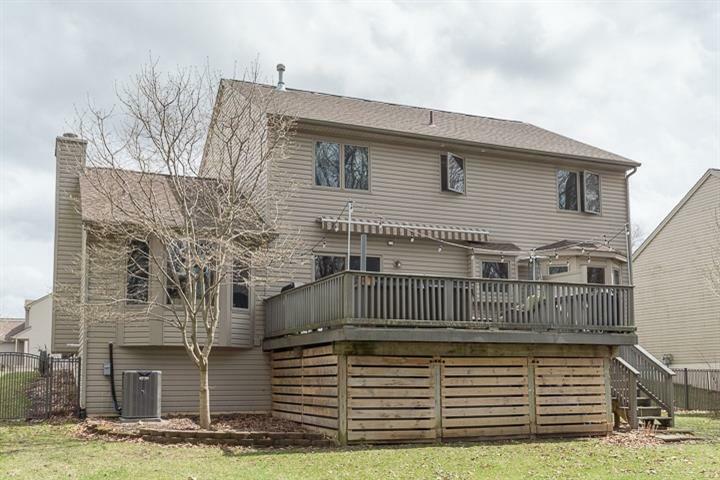 Many great features make this home a must-see: new HVAC (2018), roof (2010), hot water heater (approx 2 yrs old), 16’x’20 low-maintenance Trex deck w/ retractable awning for wonderful extended outdoor living space; great storage under deck w/ mini-sheds that stay w/ the home; lilac trees & evergreen plantings. 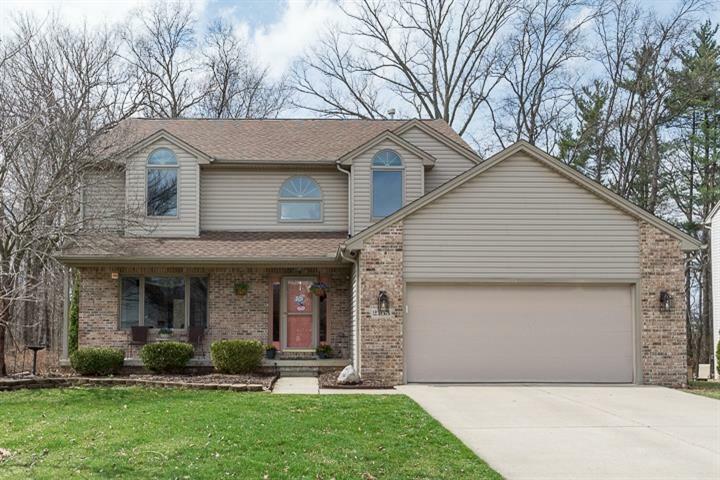 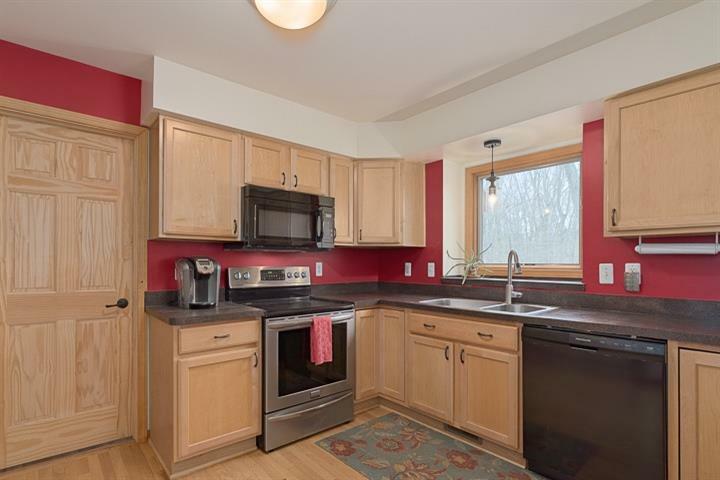 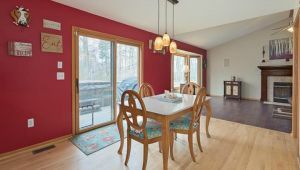 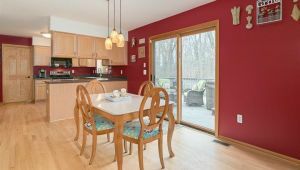 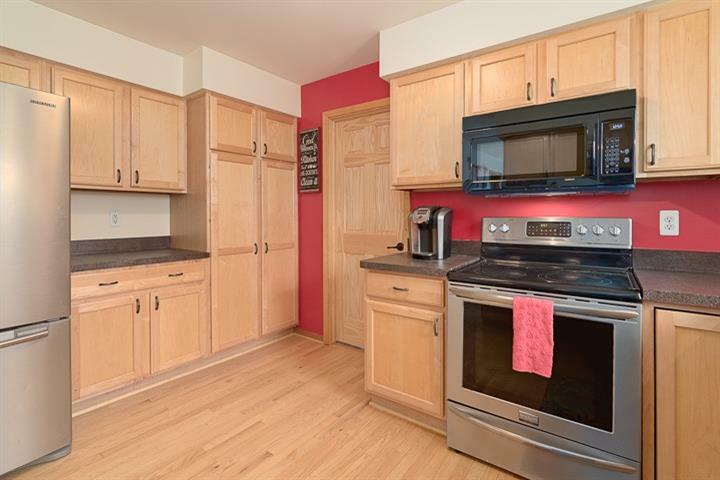 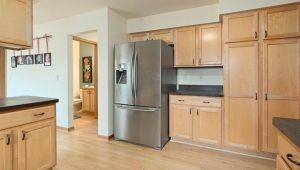 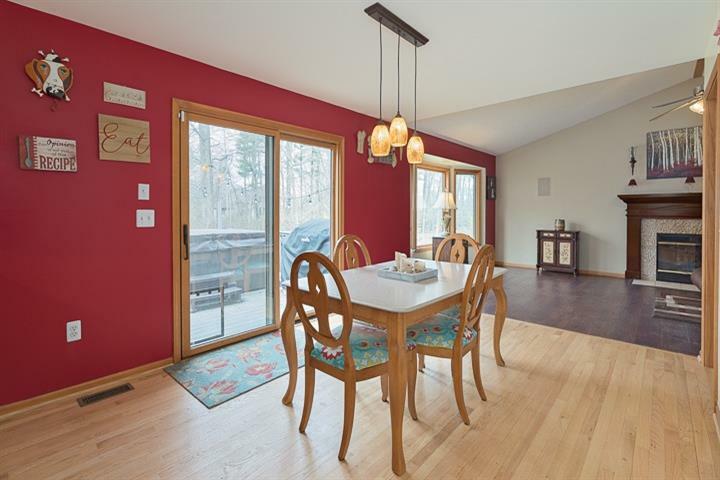 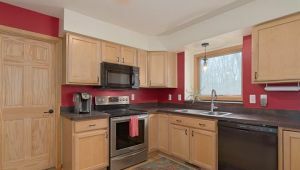 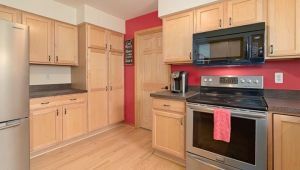 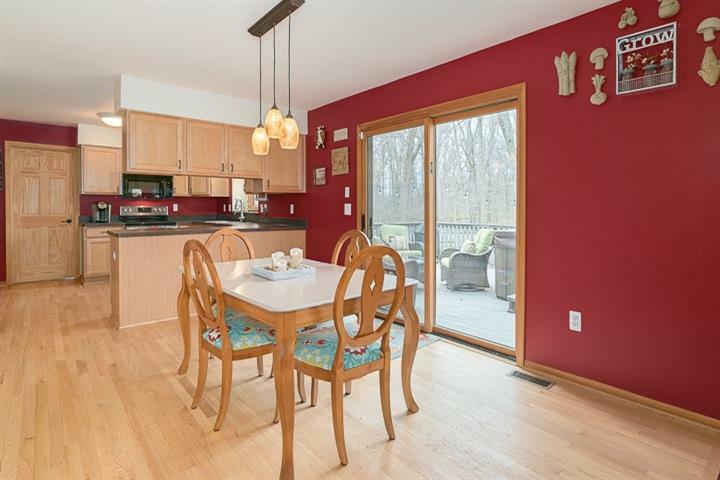 Interior features of this light & sunny home include: newly refinished kitchen hardwood flrs, recently installed hardwood stair treads; main flr laundry; gas fireplace w/ custom mantle & lovely cultured stone mosaic surround; maple kitchen cabinetry, brand new dishwasher & microwave. 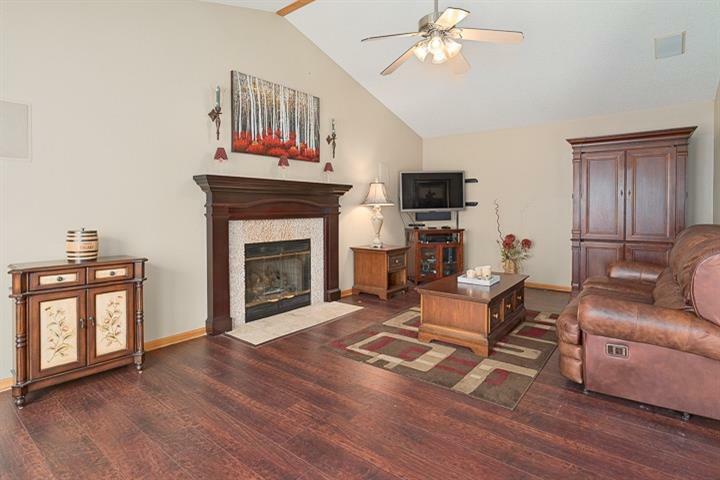 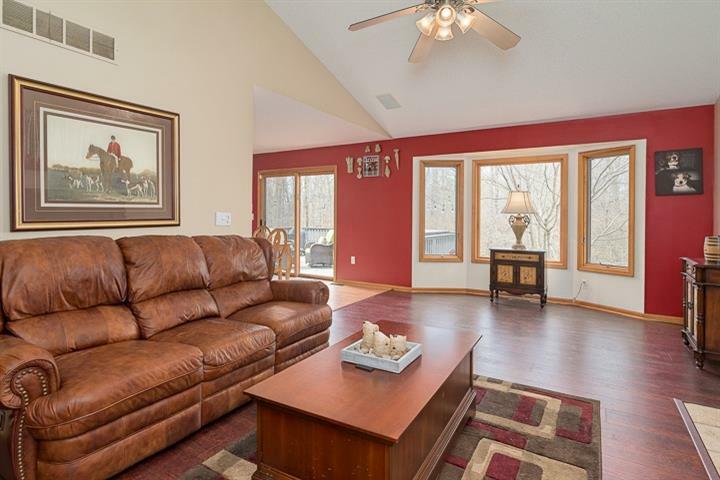 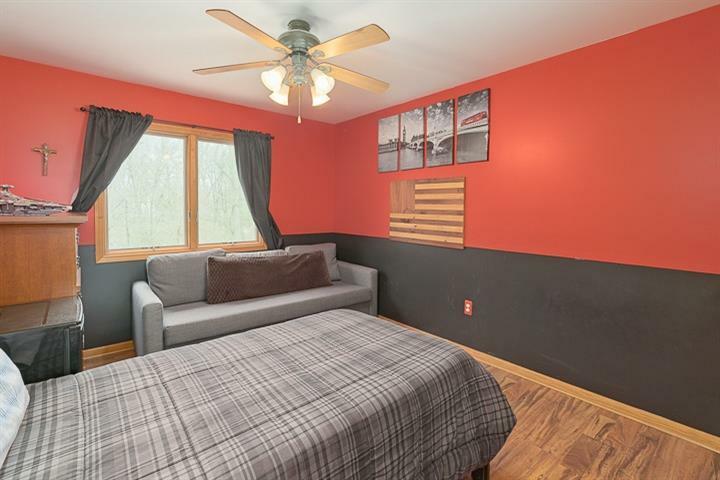 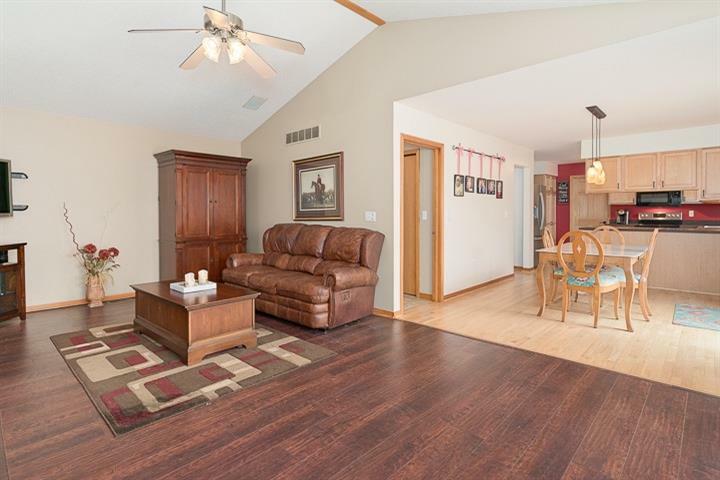 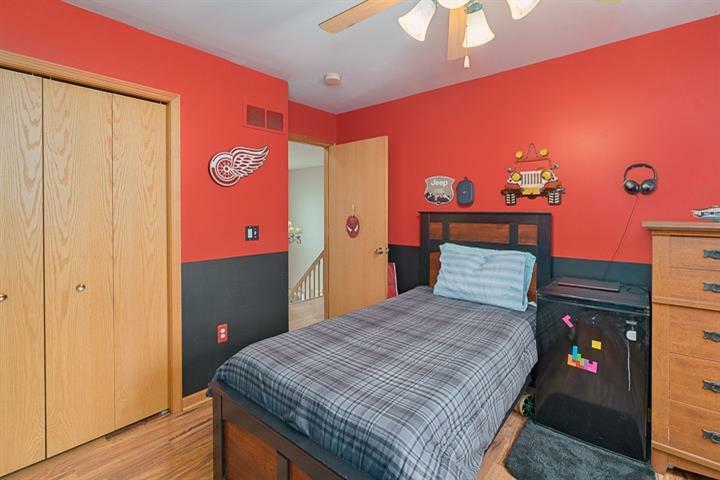 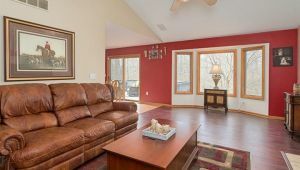 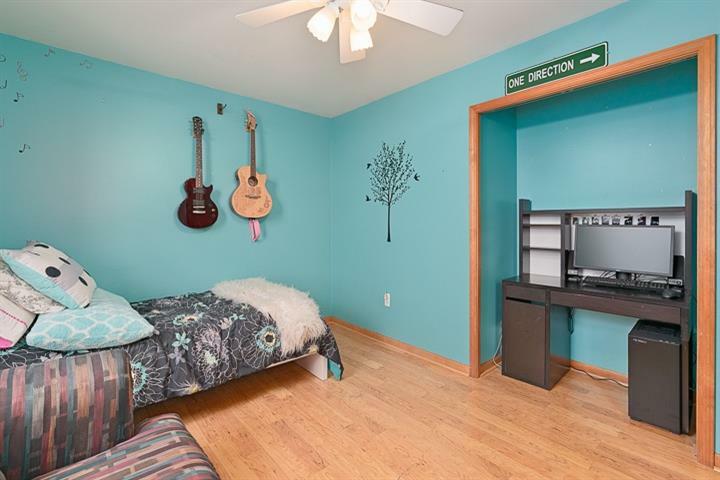 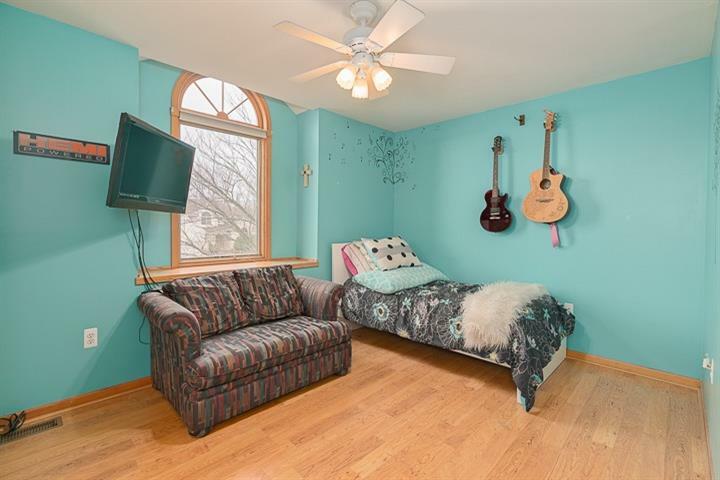 Living room has attractive shiplap accent wall & striking sliding glass doors through to formal dining room area w/ large bay window looking out to property rear (currently used as a home office). 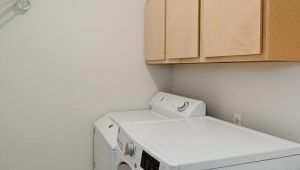 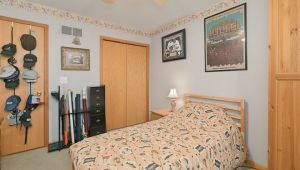 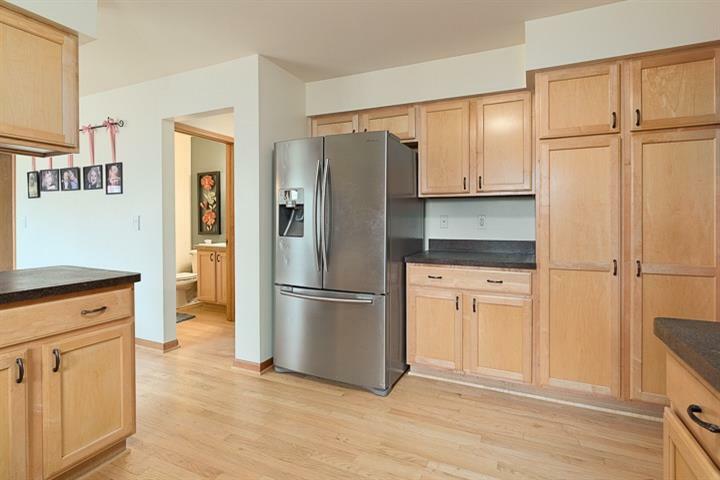 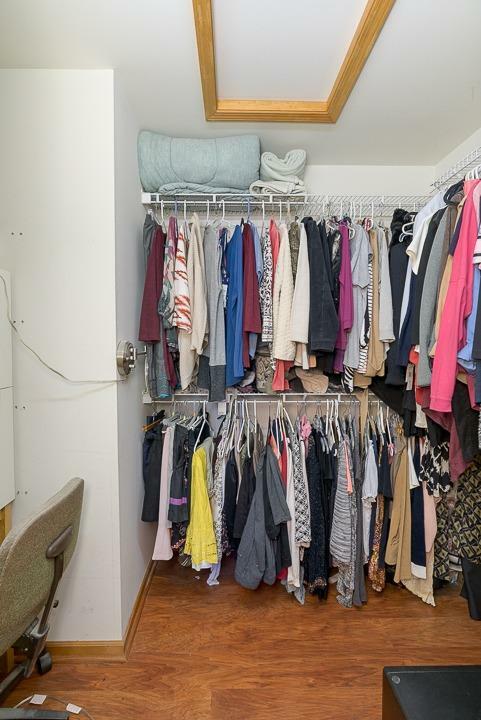 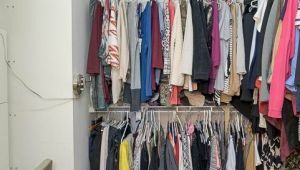 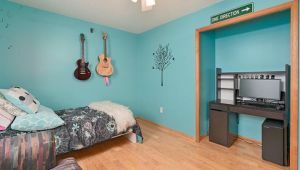 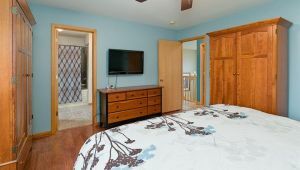 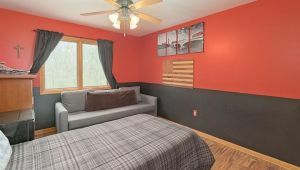 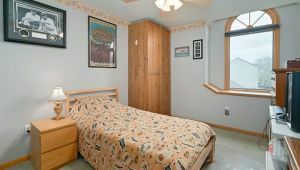 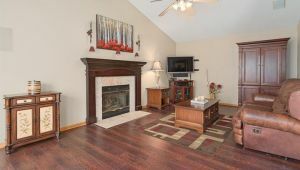 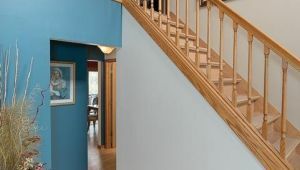 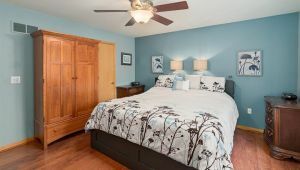 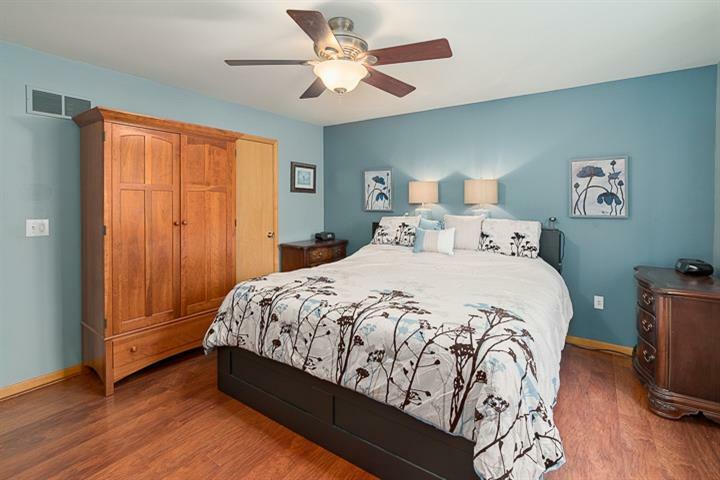 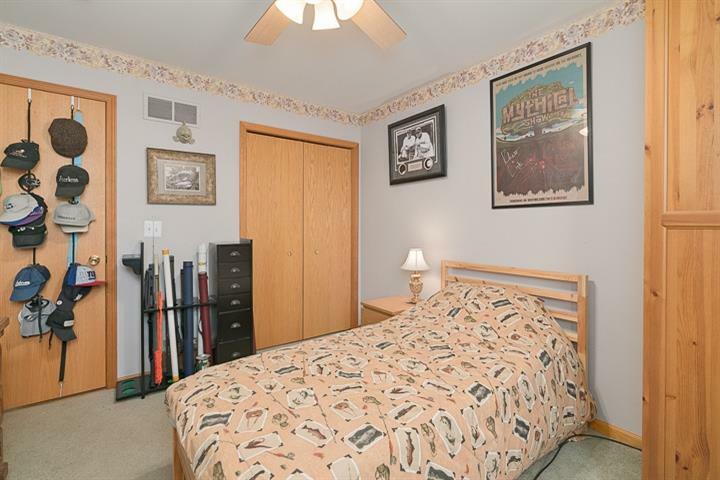 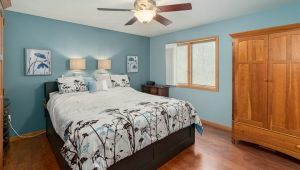 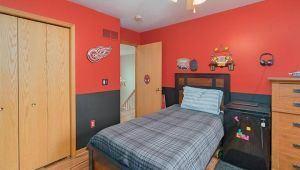 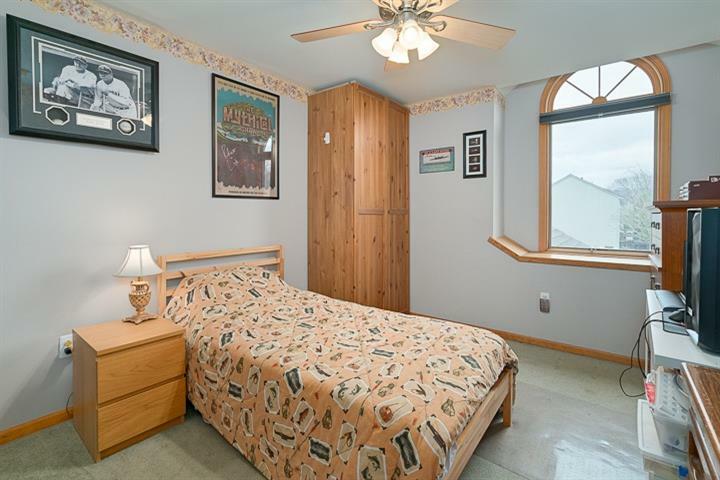 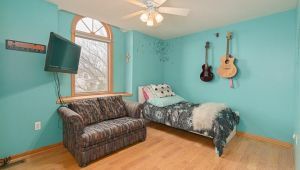 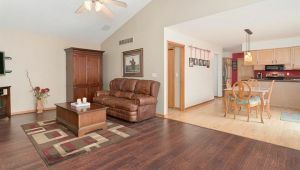 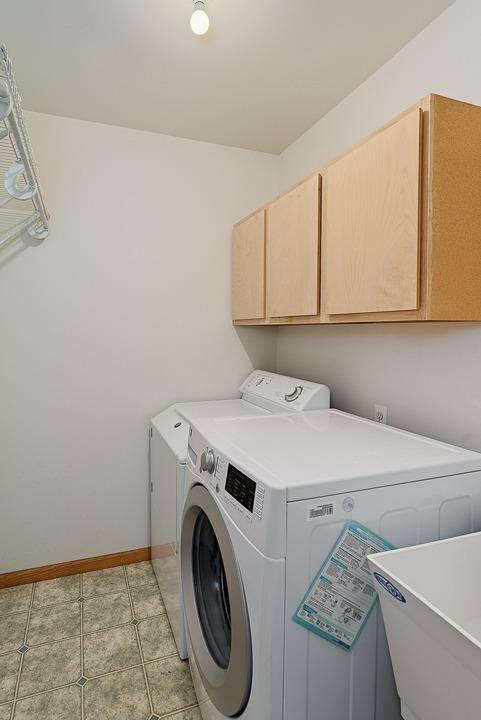 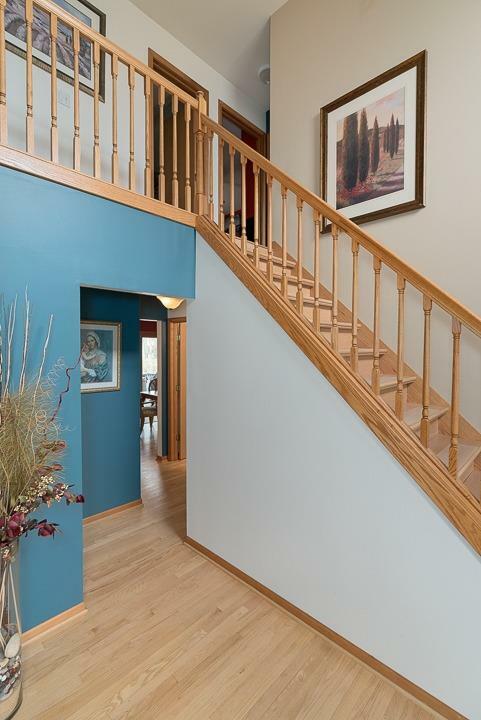 Upstairs BRs are all good size, 2 w/ add’l wardrobe additions for plentiful storage. 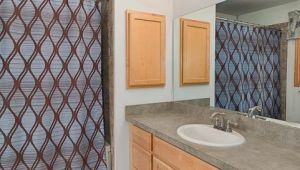 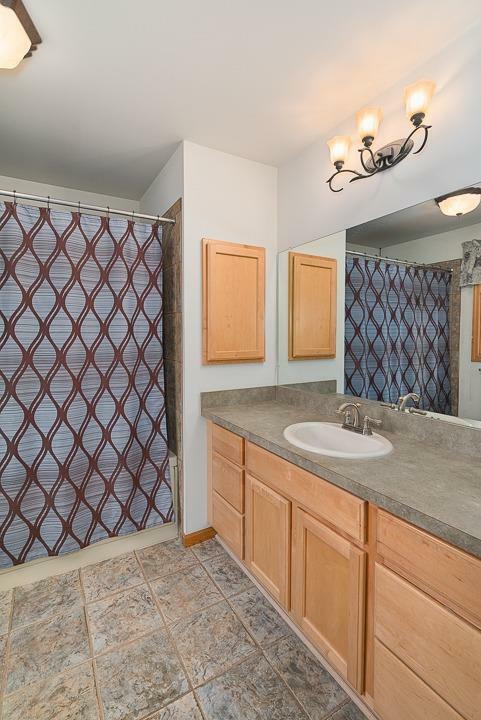 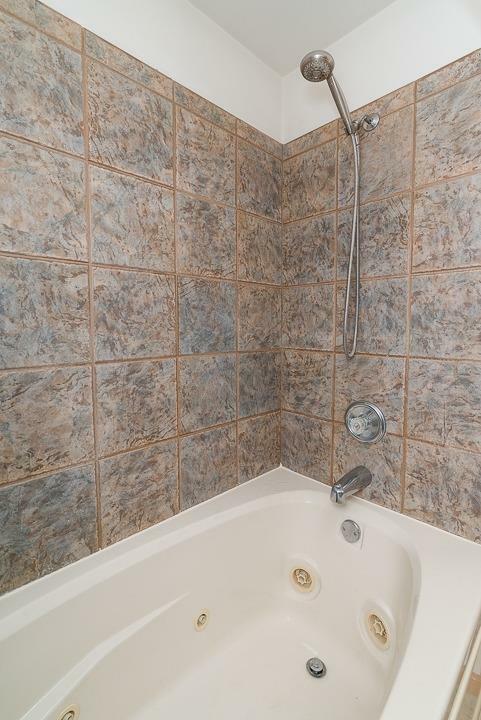 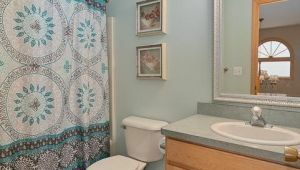 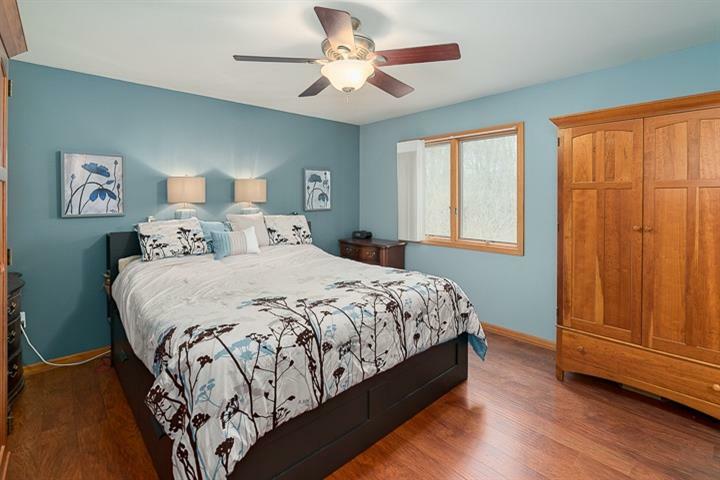 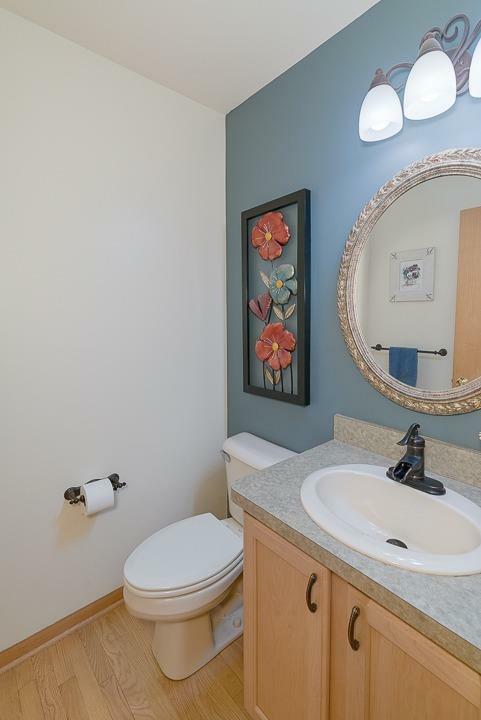 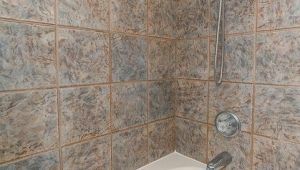 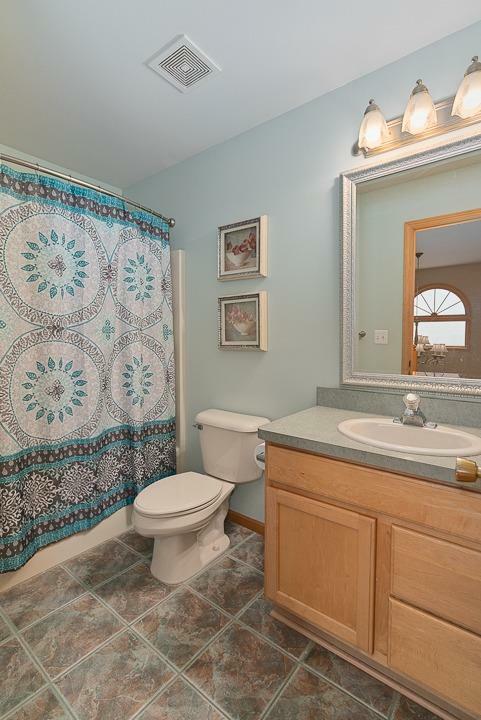 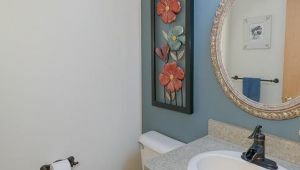 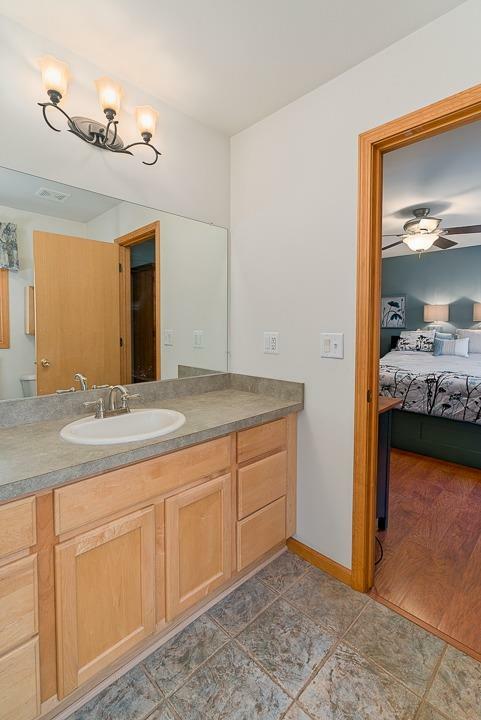 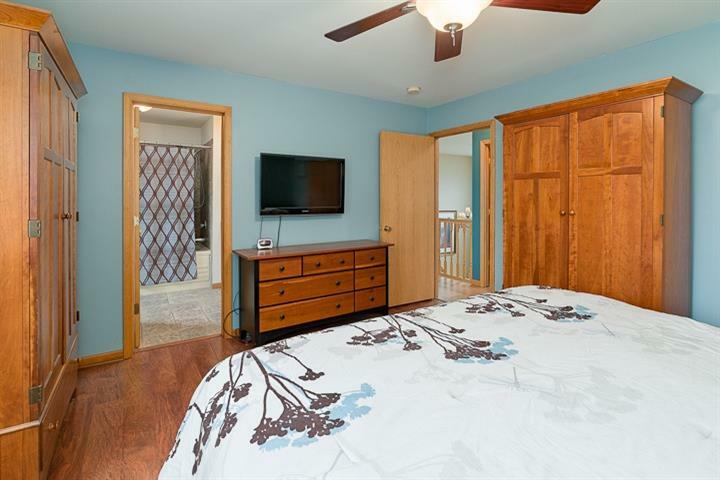 Master bath has Jacuzzi tub & attractive tile surround. 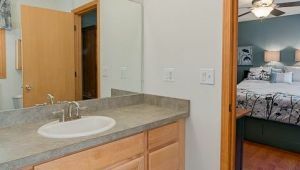 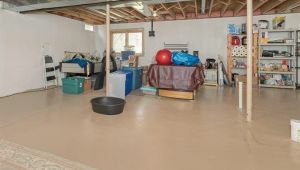 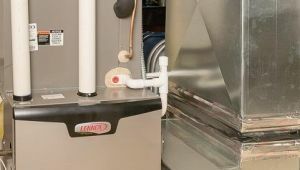 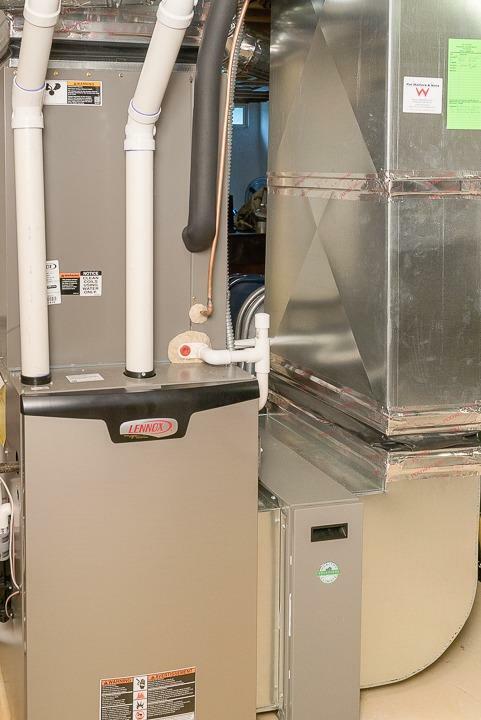 Large LL has egress, plumbing for 3rd bath, enamel-sealed flrs & is perfect for your future finishes.